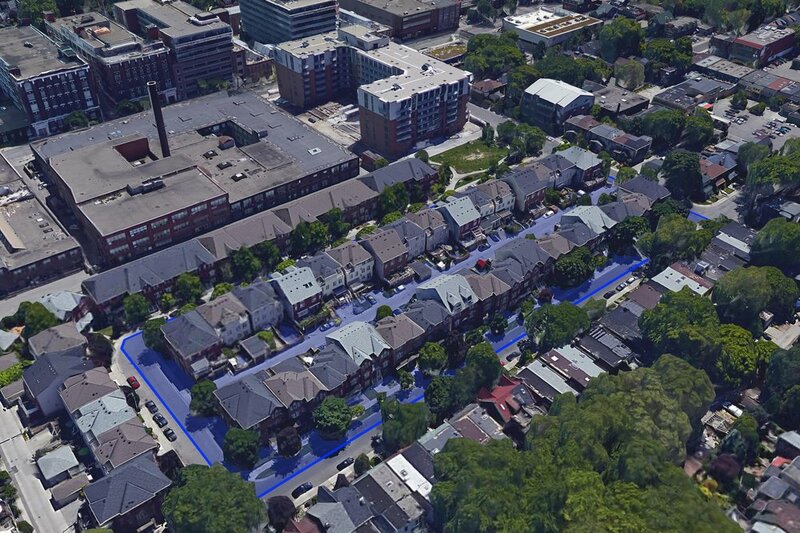 Located in the Leslieville neighbouhood in the east end of Toronto, Dundas and Carlaw has seen significant growth over the past several years - 446 units were built between 2006 and 2011. 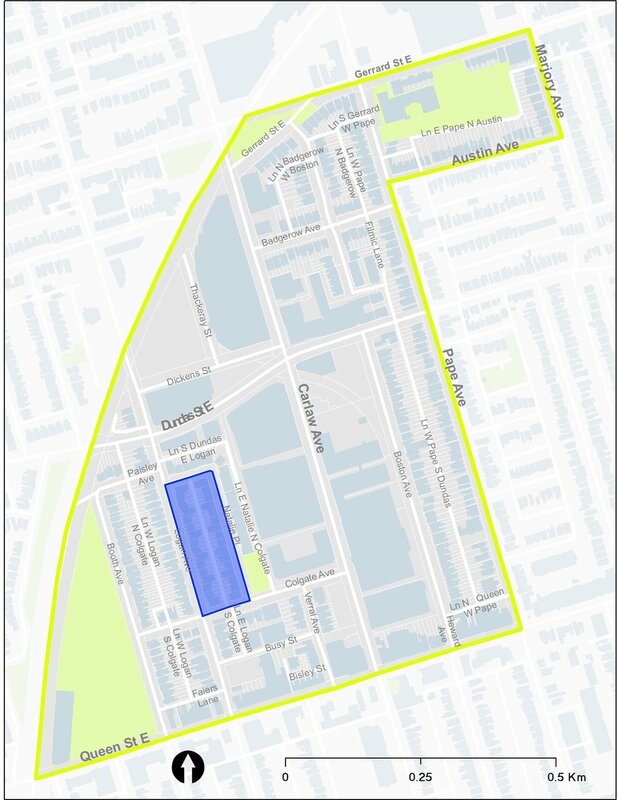 Carlaw Ave. is designated as a mixed-use street, while the surrounding areas are zoned for a combination of residential and employment. The area's density, along with the variety amenities, good walkability, and access to transit make it a vibrant, complete community. The area also has room to grow and intensify, which is supported by the city's planning policy. The combined people and jobs density figure is 115 but there is a wide variation among the smaller blocks. 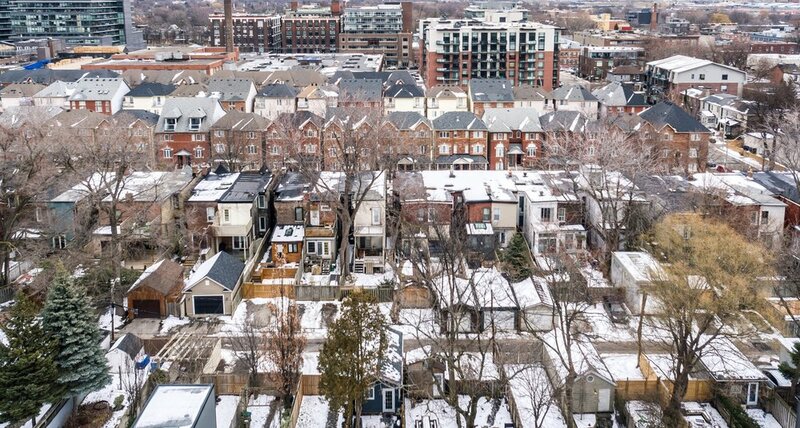 The net effect is a visually diverse, attractive neighourhood. 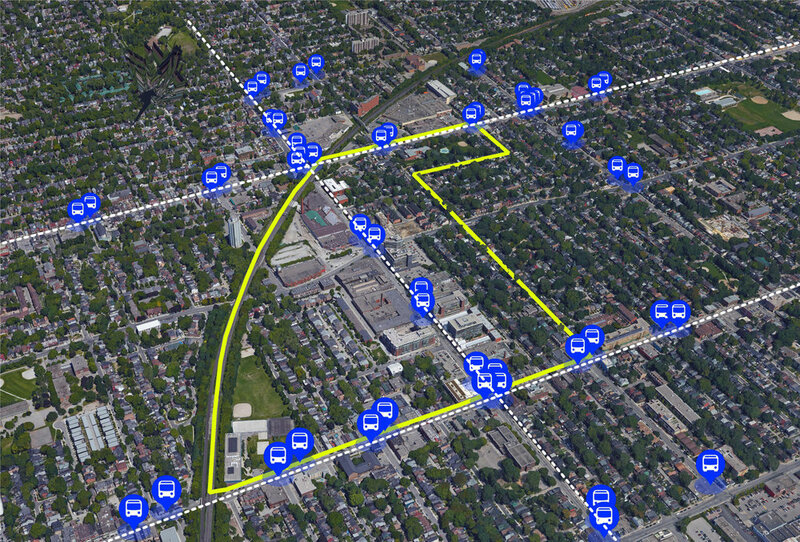 Parking lots, industrial buildings provide opportunity for development.